We have been underway for one week and we are all beginning to settle in to our cruising routine. We have tried to break up long days of cruising with either a day at anchor or a short leg to keep from working the crew too hard. So far the crew is performing beyond the Captain’s most optimistic expectations. Ryan, Randy and Patton all got a very close look at a 3′ stingray as he cruised silently a foot or so off the beach in Pelican Bay the other night. Leaving Pelican Bay, we had planned on transiting one set of locks on the Okeechobee waterway and then tucking into a quiet cove in Rialto for the night. 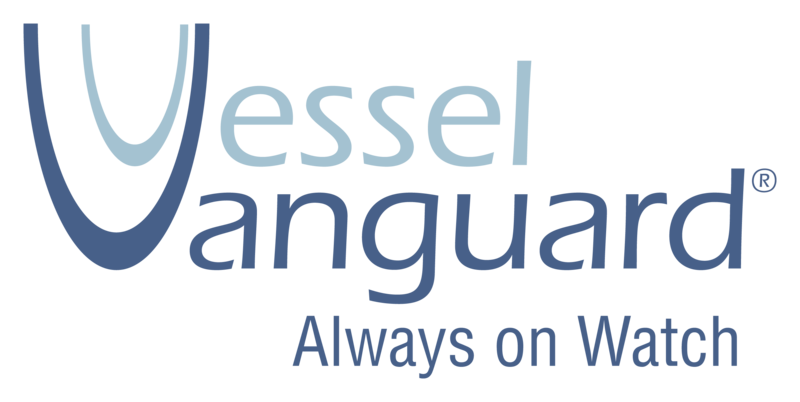 As is often the case with cruisers, flexibility was required because the cove we planned on anchoring in had been marked off with no anchoring signs. 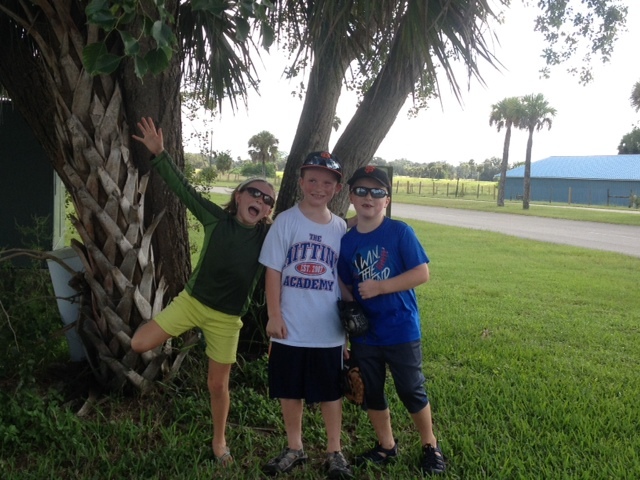 Not to worry, we motored on and found a quaint little harbor in LaBelle where the boys met their first “boat kid”, Nina an 8 year old fellow Calvert home schooled little girl who is living aboard a 45′ Catamaran. After a quiet evening in LaBelle we pressed on through two more sets of locks. The boys are becoming old hands at dealing with the lock transits and all of the lock tenders have been very complimentary about our crews performance. As I am writing this we are tied to the dock at Roland Martin’s Marina in Clewiston, FL. We got in last night in time to watch the Giants win the National League Wild Card game in Pittsburgh so the Giants fans aboard are indeed happy. Today we will cross Lake Okeechobee and spend the night in Indiantown on the east side of the lake. Not much of a hurry on our transit at this point as the weather window for crossing the Gulf Stream is looking like it may not occur until at least early next week. We left Clewiston yesterday and crossed Lake Okeechobee, transiting the Port Mayaca lock on the eastern edge of Lake Okeechobee around sunset. 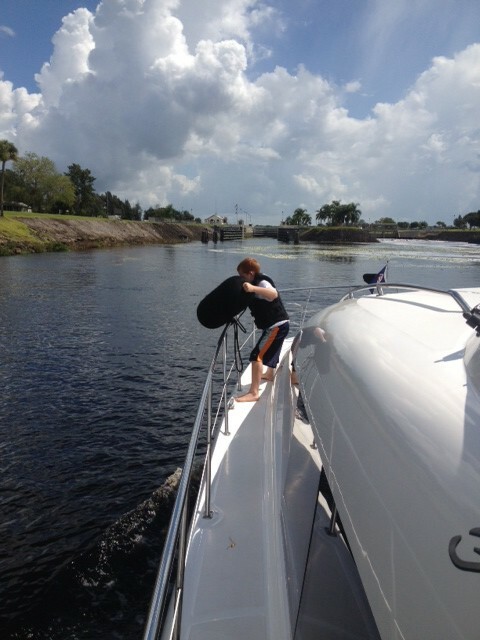 It has been amazing to watch how quickly the boys have gotten into the routine and duties of very capable deck hands. The lock tenders at Port Mayaca were so impressed with how they handled themselves that they rewarded the boys with a sack of ice pops as we cleared the lock. 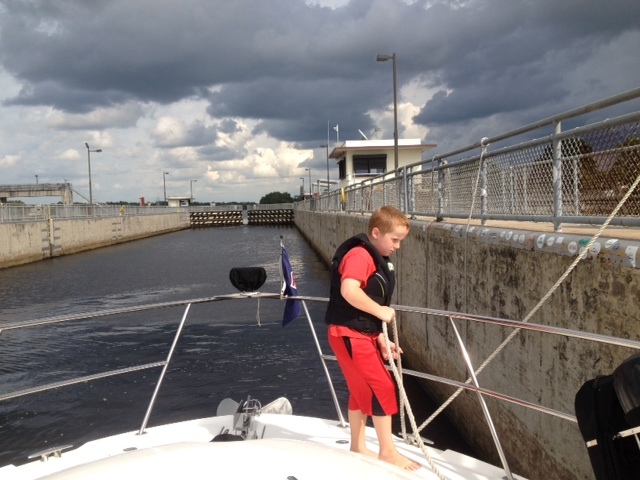 We continued east to the Indiantown marina to spend the night. 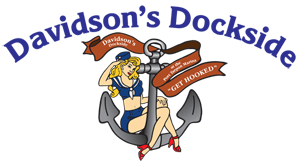 We are going to spend a couple of days in Indiantown, taking care of boat stuff and getting ahead of the home schooling program. At this point it looks like we may have to wait until later next week to get a suitable weather window to cross over to the Bahamas so we are truly getting ourselves adjusted to the concept of island time. In the meantime, we are respectfully steering clear of our local Okeechobee Waterway neighbors like the Alligator below who has been loitering about just off our starboard side. 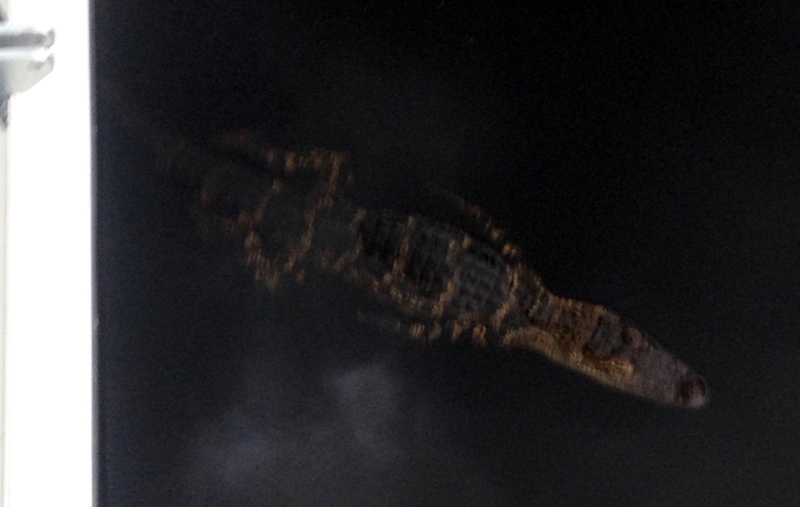 This entry was posted in Okeechobee Waterway and tagged Alligator, Indian Town, LaBelle, Locks, Okeechobee Waterway on October 4, 2014 by Randy.